Bentine takes the leading role, playing Horace Quilby, a mild-mannered widower living in the London Docklands. His job as a sandwich-board man requires him to wander around London wearing morning dress and carrying advertisements. 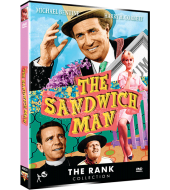 He is also secretary of the Sandwichmen's Brotherhood. But his real interest in life is pigeon racing, especially 'Esmerelda', who is racing from Bordeaux to London. During the course of one day, Quilby encounters a host of eccentric characters, who are played by some of Britain's best known comedy and character actors, and becomes involved in a series of capers. The main story thread sees Quilby reunite Sue (Suzy Kendall), a young model with Steven, her errant boyfriend. 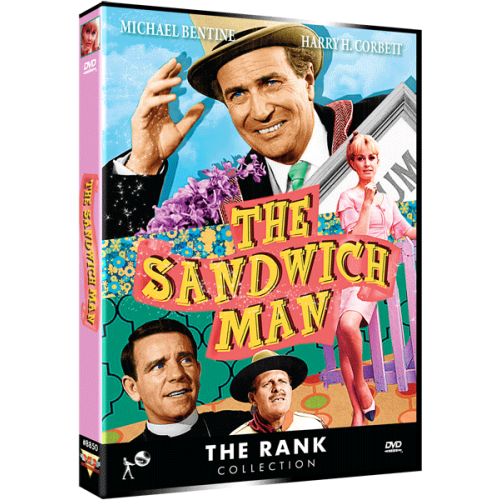 Originally the film was slow in the box office at the time of its release, but has since achieved some cult status among film fans, particularly for its backdrop of London in the Swinging Sixties.